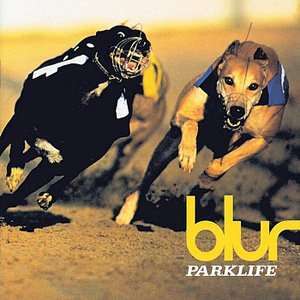 To celebrate its twentieth anniversary Blurs park life is on sale for 99p. I'm sure amazon will price match . Thanks for the heads up - Amazon have indeed matched it at 99p. Heated. Thanks. Got it off amazon. Have some heat. No point - you can download the Amazon MP3 tracks, so you do effectively own it. try doing that with a mp3. You should cut down on your pork life mate, get some exercise. No, it is porklife, they were right. no you don't if you own something you can sell it to someone else try … no you don't if you own something you can sell it to someone else try doing that with a mp3. own the cd you have the cover the physical cd that is tangible. its great to look through your collection and rip the cd if you want to. not the point own the cd you have the cover the physical cd that is … not the point own the cd you have the cover the physical cd that is tangible.its great to look through your collection and rip the cd if you want to. I used to think that way but now I'm happy to have it ready ripped by Amazon. The downloads are there to use as you please. Mine are available at home and in the cars. Good enough for me. Oh the memories! Friday nights at the Arena in Middlesbrough. Cannot believe it's 20 years ago, that really can't be right! Blur are such an "odd" band for me, I hate their Mockney stuff, like girls and boys, fartlife, etc, yet I love their early, Stone rosey Stuff, and their later years were great. good deal but i have a question...is there a difference in quality between amazon mp3 and google play mp3? are they roughly the same quality? thanks! good deal but i have a question...is there a difference in quality … good deal but i have a question...is there a difference in quality between amazon mp3 and google play mp3? are they roughly the same quality? thanks! Edit: I found this on Amazon explaining it (a bit) more clearly. Goes nicely with the rewards app from Google, I'm rolling in £1.04. I can understand the clutter argument, but rights and sound quality argument is won by the CD not the MP3. Care to elaborate? I spend a fair bit on Google Play. Answer surveys, get Google Play credit. MP3 rights??? - no transfer of ownership - no (potential) re-sale value … MP3 rights??? - no transfer of ownership - no (potential) re-sale value - no bequethmentI can understand the clutter argument, but rights and sound quality argument is won by the CD not the MP3. Normally I'd take physical over mp3 any day of the week (being a fan of cover art and details, sad but true). However, this CD is so patchy I'd definitely go MP3 - no mistake, there's an awesome album in here with some truly great songs, but there's also so many filler tracks to skip through that for this album I'd definitely grab the download and plain delete the cheesy instrumentals (shipping forecasts or not). rewards, that's a laugh! I signed up a couple of weeks or so ago, got one survey and 50p and nothing since. I think they got my details pretty cheaply! I'd rather pirate than buy second-hand media. The artist gets nothing either way. I don't owe Zoverstocks anything. rewards, that's a laugh! I signed up a couple of weeks or so ago, got one … rewards, that's a laugh! I signed up a couple of weeks or so ago, got one survey and 50p and nothing since. I think they got my details pretty cheaply! Must agree, but a free album aint bad I suppose! I've had 3 polls so far, the last one was a single question for 6p!